We hope this will never happen but this hope does not relieve us from preparing as best as we can for an emergency. 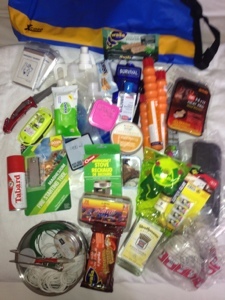 Now the emergency supply from > to and more, see picture. Dietmar and I can survive on that one for a few days or longer. We hope. Longer then that it will not be so lekker. 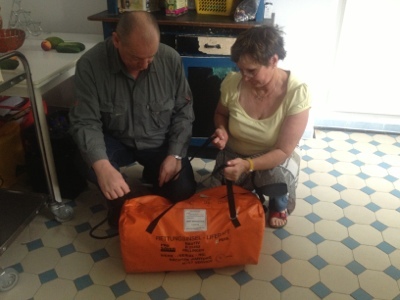 Our emergency medical bag was packed before leaving Cape Town by our very capable and beloved daughter and her partner. Thanks very much to both of you. 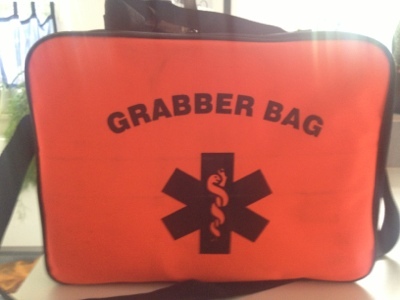 The medical bag contains everything except a scalpel. 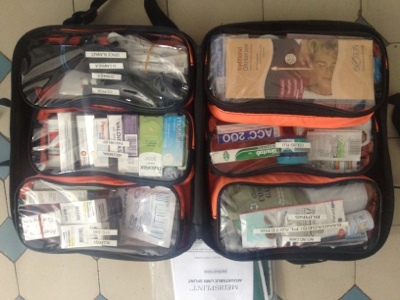 We are equipped for any medical emergency, again we trust that we will not having to touch the bag. Never ever. But it does not stop us from preparing as best as we can. 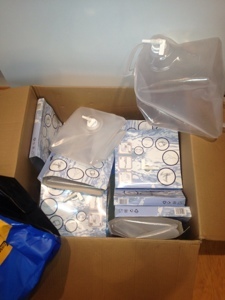 12 containers for 20 litre each. 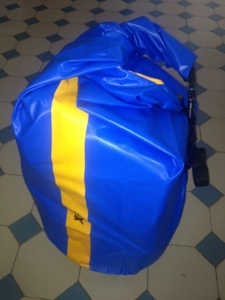 Tested and nicely folded up to fit into a holding bag.